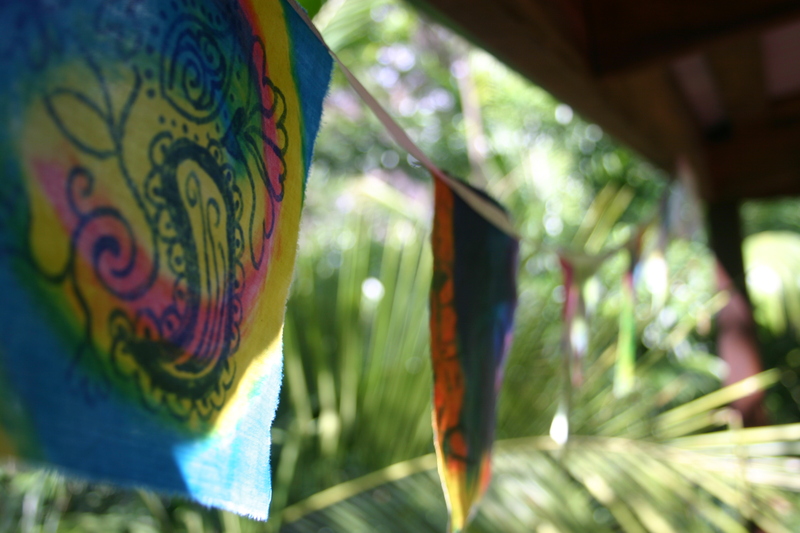 I posted recently about the prayer flags that I made with my children and playgroup to express gratitude. They are fluttering away in streaks of colour on my verandah, such a beautiful visual reminder of our wonderful blessings. Another gratitude exercise we did together was to make cinnamon offerings as part of our Easter Celebrations. I didn’t plan this activity very well for playgroup, and we ran out of time to make it the special experience it could have been. I sent some families home with some dough of their own – that is, what was left after my youngest sat there eating it. I did manage to make a few with my seven-year-old and my four-year-old at home. We talked briefly about our blessings and what we are thankful for. We cut out shapes and gave them our blessings. 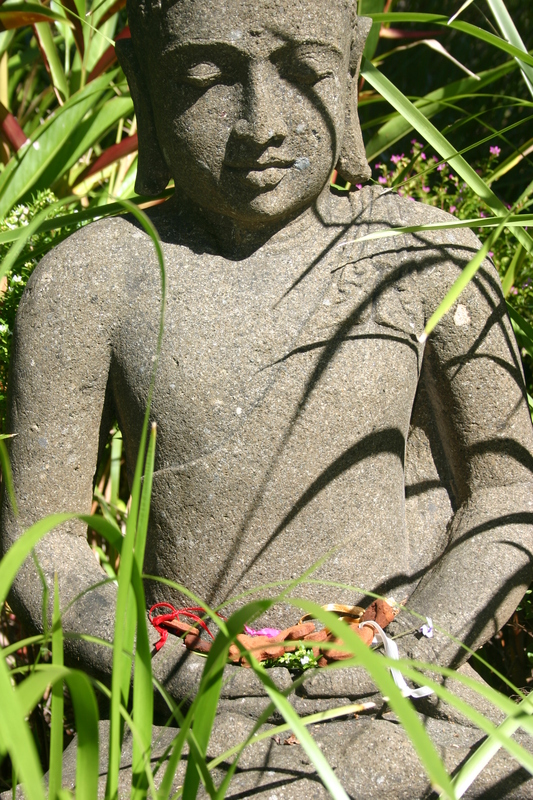 When they were dry hung them in the olive tree by our front path, and Buddha was given some blessings also. The recipe for this dough comes from the book Circle Round, written by Starhawk, Diane Baker and Anne Hill. It is a book full of wonderful ideas for celebrating the seasonal festivals with your family from the Goddess Tradition: crafts, songs, stories and recipes as well as rituals. The dough is listed there under the heading of ‘Cinnanimals’ on page 271. When these are cooking they are sooo fragrant. They smell divine when they are dried too. 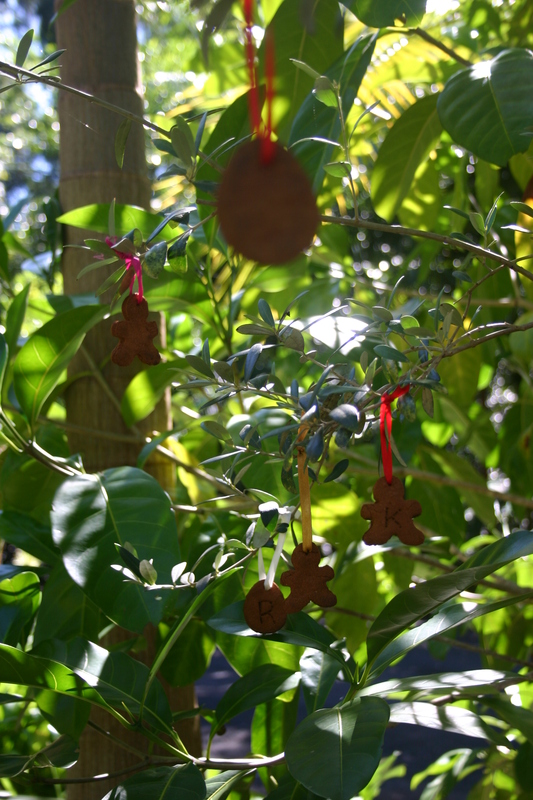 Make them to hang in your Easter Tree, you can also make them for your altar or seasonal table. We didn’t have an Easter Tree this year because we were not home for this festival, so we hung them in our garden for everyone to enjoy. Mix together in a food processor. If you mix by hand do it carefully and slowly, adding a tsp of cinnamon at a time because the cinnamon is so fine that clouds of it will burst out of your bowl! Work it into a smooth and firm dough, adding more cinnamon if necessary. 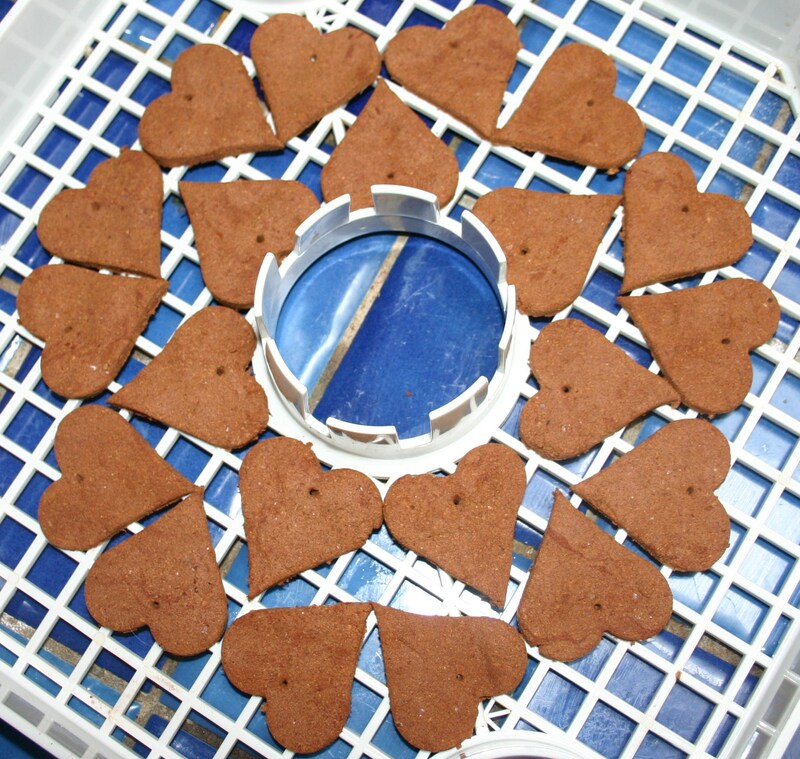 Dust a flat surface with cinnamon and roll out small balls of dough to press out with cookie cutters. Bless each shape, name the object of your gratitude. Poke a little hole in the top with a skewer if you intend to hang them. Let the animals dry in the sun, put them in the dehydrator or bake in a slow oven at the lowest temperature until they are dry and firm. They should be much firmer than a cookie. They should last a very long time (although I think a few birds and animals have had a nibble at ours hanging outside!). The ones we didn’t hang are kept in a paper bag hanging in my cupboard. Spicy and sweet!